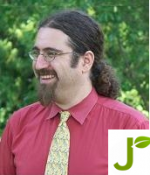 Jewcology - | IdeaSlammin’ in Vancouver! Hiking / Outdoors Club, a Jewish food initiative and a local organization to connect people to volunteer opportunities are just three of nine majors idea developed and hundreds more presented by young adults from across Vancouver’s Jewish community at IdeaSlam. While social, spiritual and networking opportunities also spotlighted as areas of interest, it was clear that food, nature based and service based initiatives had an attraction to at least 1/3 of the audience. (Confirming the results of the ‘Generations of Change’ Study, see previous post). Watching these results develop naturally, with influence from myself, was refreshing and I hope I am able to support these people and initiatives in moving forward. What was not presented was also a big lesson to me and informs the question of how people (at least young Jews in Vancouver) think about environment responsibility. No ideas where presented, and I have yet to come across one in the hundreds of notes from the event (though I still have many more to go through), regarding an energy reduction campaign, ‘Greening’ our synagogues and other community buildings, etc. Environmental advocacy was entirely represented through food. In isolated Vancouver we haven’t heard of the Topsy Turvey Bus, the Jewish Climate Campaign, Interfaith Light and Power, etc. How can we help spread the voice of the climate movement to the smaller Jewish communities? Or should we focus on where the interest is? Food. Meet the people where they are. Presumably a measure of both, but that is hard in a community as small as ours. During the last few months, a theme has begun to emerge in my blog. How do we engage the young adult generation in environmental advocacy and Jewish community? While today’s post may not have provided any new answers, I believe it helps give us insight into the answer. I look forward to pondering this question further and hearing any insights any of you might want to share.